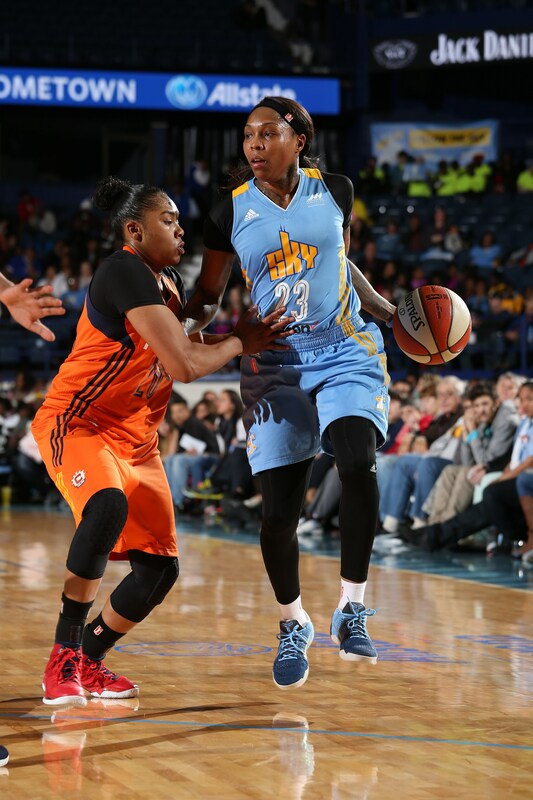 ROSEMONT, IL - MAY 14: Cappie Pondexter #23 of the Chicago Sky handles the ball Connecticut Sun on May 14, 2016 at the Allstate Arena in Rosemont, Illinois. 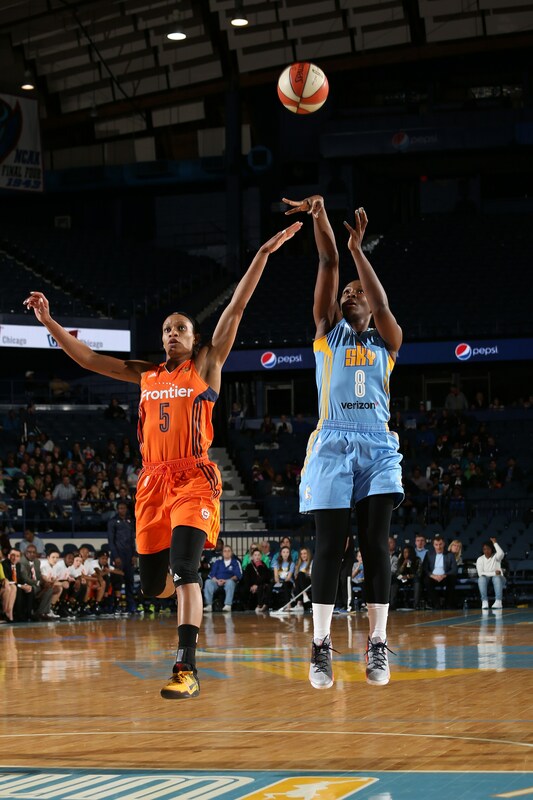 ROSEMONT, IL - MAY 14: Clarissa Dos Santos #8 of the Chicago Sky shoots the ball Connecticut Sun on May 14, 2016 at the Allstate Arena in Rosemont, Illinois. ROSEMONT, IL - MAY 14: Chiney Ogwumike #13 of the Connecticut Sun shoots the ball against the Chicago Sky on May 14, 2016 at the Allstate Arena in Rosemont, Illinois. ROSEMONT, IL - MAY 14: Allie Quigley #14 of the Chicago Sky handles the ball against the Connecticut Sun on May 14, 2016 at the Allstate Arena in Rosemont, Illinois. 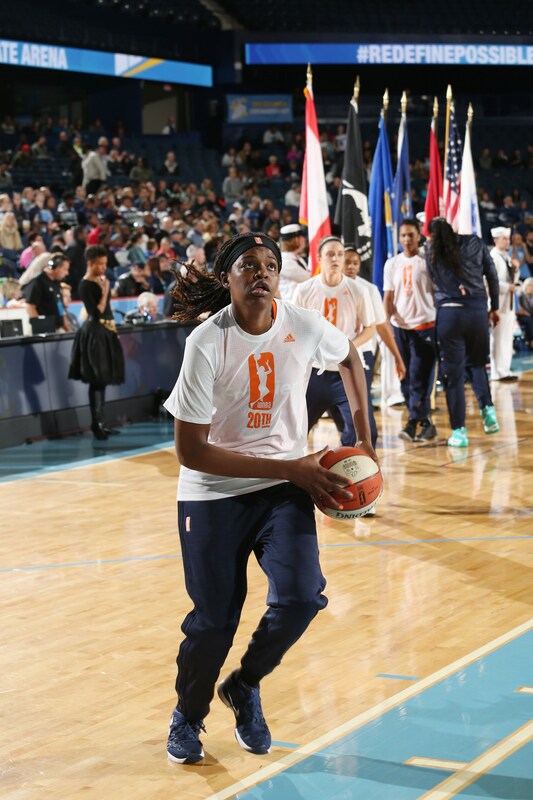 ROSEMONT, IL - MAY 14: Jonquel Jones of the Connecticut Sun warms up before the game against the Chicago Sky on May 14, 2016 at the Allstate Arena in Rosemont, Illinois. 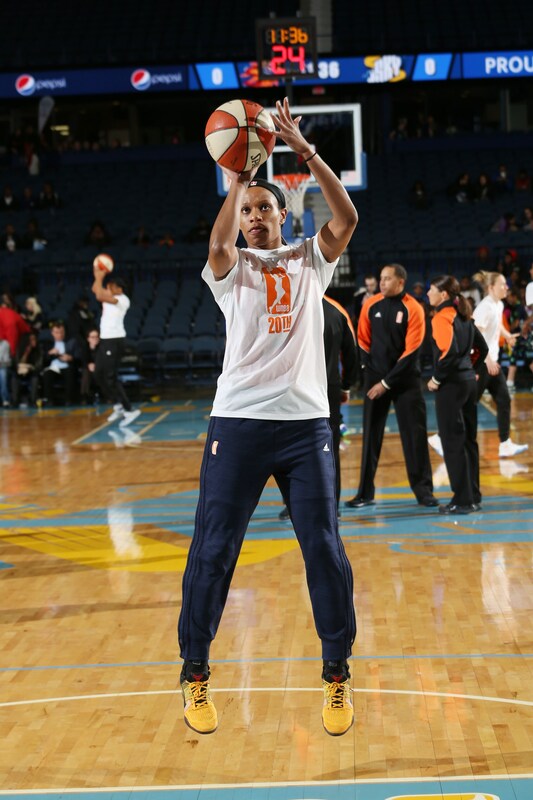 ROSEMONT, IL - MAY 14: Jasmine Thomas #5 of the Connecticut Sun warms up before the game against the Chicago Sky on May 14, 2016 at the Allstate Arena in Rosemont, Illinois. 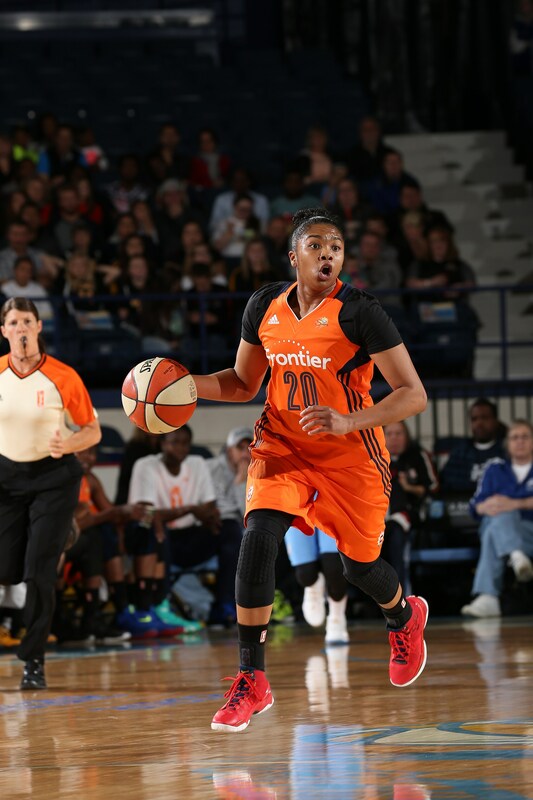 ROSEMONT, IL - MAY 14: Alex Bentley #20 of the Connecticut Sun handles the ball against the Chicago Sky on May 14, 2016 at the Allstate Arena in Rosemont, Illinois. 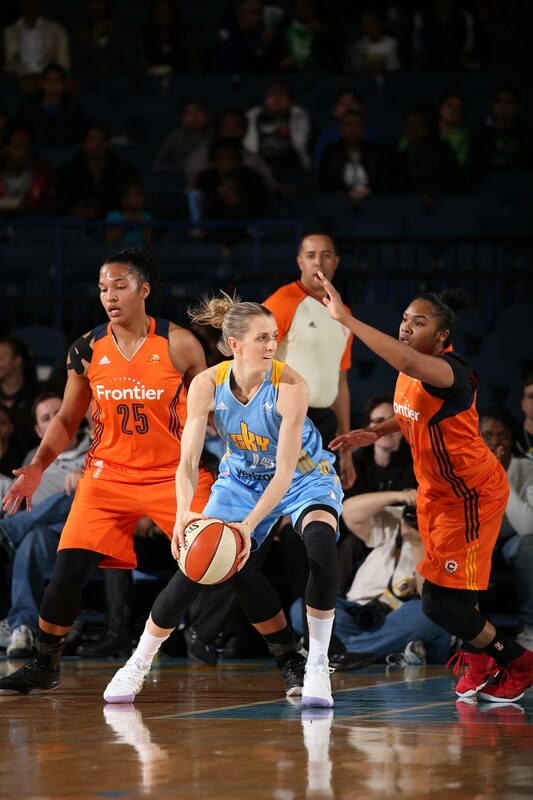 ROSEMONT, IL - MAY 14: Rachel Banham #1 of the Connecticut Sun handles the ball against the Chicago Sky on May 14, 2016 at the Allstate Arena in Rosemont, Illinois. 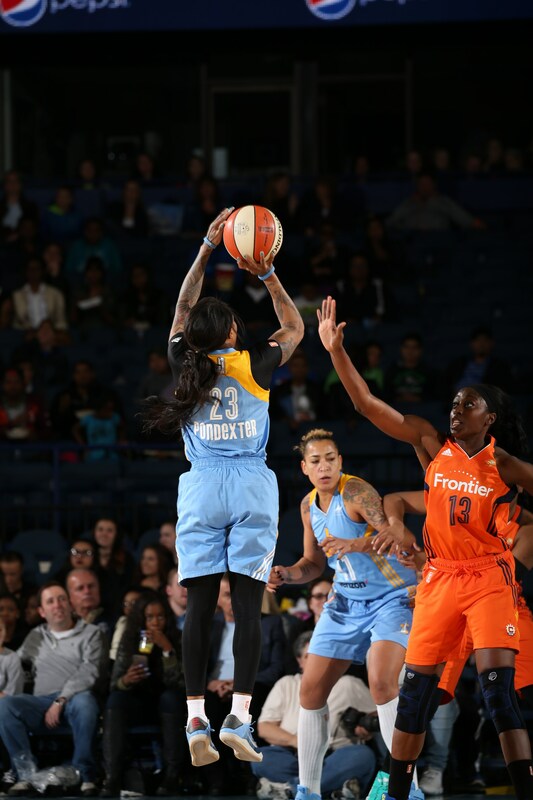 ROSEMONT, IL - MAY 14: Cappie Pondexter #23 of the Chicago Sky shoots the ball against the Connecticut Sun on May 14, 2016 at the Allstate Arena in Rosemont, Illinois. 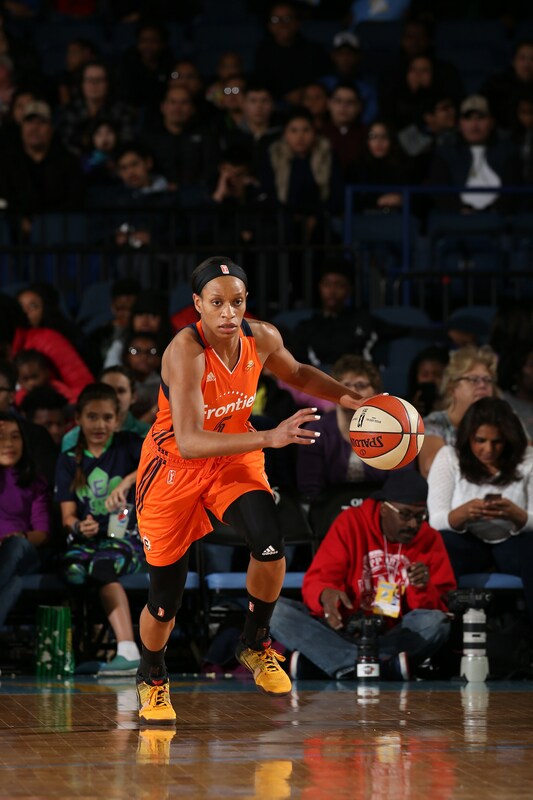 ROSEMONT, IL - MAY 14: Jasmine Thomas #5 of the Connecticut Sun handles the ball against the Chicago Sky on May 14, 2016 at the Allstate Arena in Rosemont, Illinois. 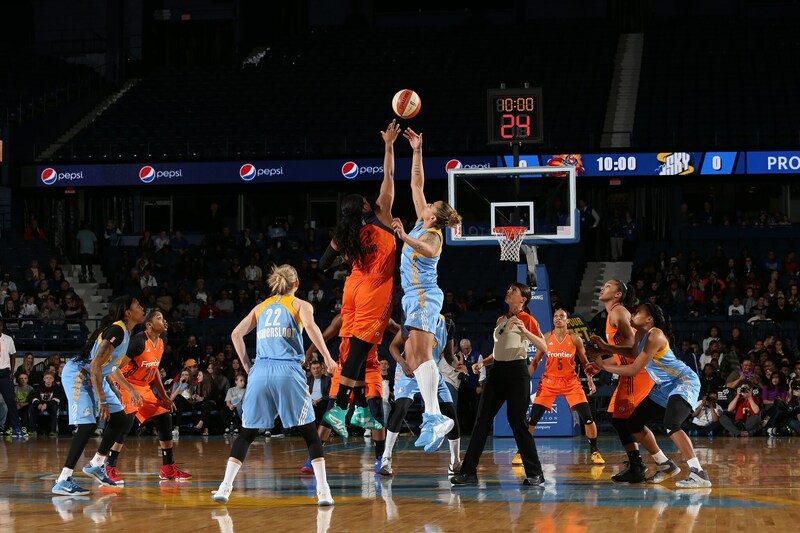 ROSEMONT, IL - MAY 14: The opening tipoff between the Connecticut Sun and Chicago Sky on May 14, 2016 at the Allstate Arena in Rosemont, Illinois.